Last year’s Best Bet November / December article got a lot of attention and we are forever grateful to all the ones who messaged, texted and dm’ed us, begging us to extend our current Best Bet recommendations with places like Siberia and Antarctica. Check out the places we came up with in 2017 below and let us know what you think about this year’s new additions to the list! Finding good snow early in the season can be a challenge. Snowfall before Christmas varies from place to place, year to year. Some spots are more reliable than others though. Here are a few locations that are usually a good bet for finding powder to ride in November and December. Every October and November snow spreads across the vast Siberian plain. The first snow falls in Northern and Eastern Russia and then, gradually works its way west towards Europe. Winter may still be some time away in the Alps, but in Siberia, it’s often already taken hold by late October. Russia, along with countries like Georgia and Albania, represents the new frontier in adventurous freeriding. It’s a country that has an enormous untapped potential for skiers looking for new places and zones to explore. The Altai Mountains are located right in the centre of the Eurasian continent. It’s frosty part of the world. Due to the mountains and prevailing weather systems, it’s also a place that receives a lot of snow. By November the Altai Mountains are usually covered with deep powder. 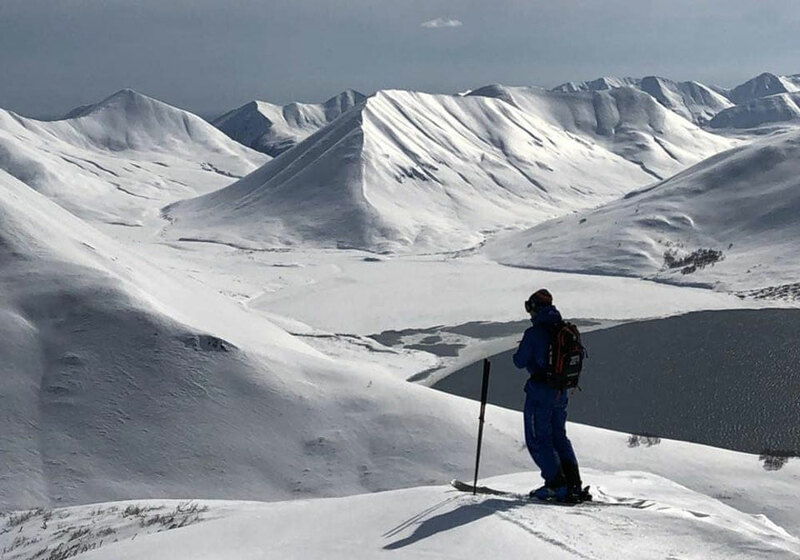 The Altai Mountains have varied terrain that’s perfect for catskiing. A mix of both, big alpine and some great trees for low visibility days, means you can get the most out of whatever conditions you find. Plus with catskiing, there are no down days, waiting for the weather to improve and it’s more affordable than heliskiing too. Russia might not a place to go for the big 5-star lodge experience, but if you’re looking for early season pow, then it’s definitely one of the best options. Even in today’s travel-centric world, very few people get the chance to visit Antarctica. Even fewer get the chance to ski or snowboard there. As the last remaining proper pristine wilderness on the Planet, Antarctica is a special place that should be cherished by everyone who loves wild places. Early winter in the northern hemisphere means early summer in the south. It’s prime time to ski in Antarctica as the days are long and the snow is generally at its most stable. 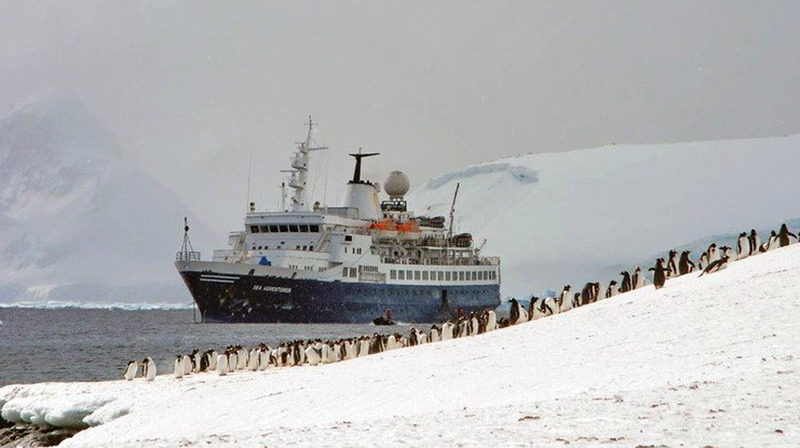 Most Antarctic trips depart from the Argentinian port of Ushuaia, before sailing south through the inlets of beautiful Tierra del Fuego, past the infamous Cape Horn and on towards the Southern Ocean. This is an adventure for sure, but full-service accommodation and excellent facilities ensure a comfortable life on board the boat. This would be your spacious ride through the ice world! 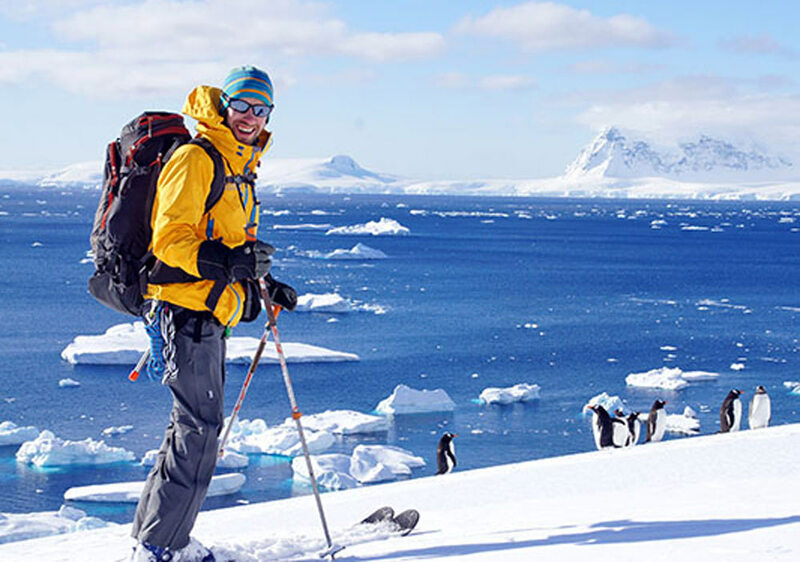 Skiing in Antarctica is a little different to your typical resort or backcountry trip. First of all, just getting to the snow requires a trip on shore in a zodiac. From then on, it’s good old human powered skinning and hiking to reach the goods. Antarctic mountains often rise up straight out of the ocean which gives some spectacular skiing. With slopes on all aspects and terrain that varies from fairly mellow to very steep – there’s something for everyone. As ever, snow conditions can change. However, due to the proximity of the super cold Antarctic land mass temperatures are low. Add to this the copious amounts of moisture provided by the surrounding ocean, and you’ve got a good recipe for lots of powder. Any trip to Antarctica is always going to be about a lot more than just skiing though. 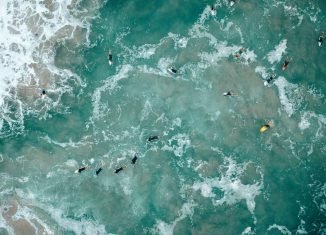 Expect to see all manner of remarkable wildlife including Penguins, Whales, Seals, and Albatross. It’s also about just being there and experiencing one of the most remote places on Earth. There are two ways to ski BC, either on the coast or in the Interior. The coast’s obvious focal point is Whistler which usually opens in mid to late November. Some of the resort’s backcountry zones may remain closed and off limits early in the season, but there’s still likely to be a big choice of areas in which to ski. Whistler Blackcomb has updated its lift system for this winter too, making it quicker and easier to reach the alpine on Blackcomb Mountain. The Coast Mountains stretch northwards from Whistler all the way to Alaska. There are many heliskiing operations in the Coast Range, and most are open for business in December. There’s a reason why BC has more heli options than anywhere else in the world; big mountains, big snow, and endless empty terrains make this the perfect place to get your heli accessed powder fix. Early season cat or heliskiing in Interior BC can be spectacular too! Yes, the snowpack isn’t as deep as later in mid-winter or spring, but it’s a time when the mountains usually see regular storms which provide the kind of snow locals refer to as cold smoke; super cold, and super light snow that’s awesome to shred. It’s also the cheapest and quietest time to heli or catski too. A good option for an Interior BC trip is to base yourself out of one of the ski towns like Revelstoke or Fernie. It’s crazy how many cat and heliski operators are based within an hour of Revelstoke. Throw in some amazing backcountry touring around Rogers Pass, plus the lifts at Revelstoke Resort, and there should always be some great skiing to be found.